Naphtali was born in Poland and, after WWII, lived in DP camps in Germany. This experience led him to become the Founder & President of Philadelphia Chapter of Children of the Holocaust. He is a lecturer for AISH and gives a weekly Parsha class at Young Israel of the Main Line. 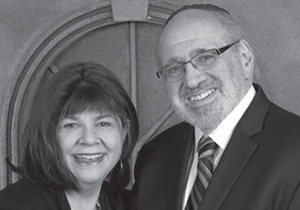 He is one of the founders and past president of the Philadelphia Community Kollel. Additionally, he was the first President of Kosloff Torah Academy High School for Girls and was instrumental in the acquisition of the Bala Cynwyd campus. Hanna, a Philadelphia native, graduated from Sarah Lawrence College, where she majored in Music. Following graduation, she studied violin making and later attended Temple Law School. After decades of practicing law, Hanna became a certified life coach with additional certification in relationship and wellness coaching. She is also a certified family law mediator. Hanna teaches a women’s Shabbos class at Chabad of the Main Line. She lectures annually at the Aish Rosh Hashana program. She writes a weekly blog on the Parsha through the lens of Positive Psychology. Hanna serves on the Board of Chasdei Eliyahu, which provides resources for Jewish needy families.Naphtali was a managing partner at Blank Rome. He and Hanna have practiced law together at Perlberger Law Associates for the last 25 years specializing in Trusts and Estates and Family Law. Naphtali has been cited by Philadelphia magazine as one of the “Best Lawyers in America” and is among the “Super Lawyers” in Pennsylvania. Originally from Charleston West Virginia, Kristy made her way to Philadelphia in 1998. She and Jeff, a Northeast Philadelphia native, married in 1999. The rest has been a blessing of leadership for our community. Both Kristy and Jeff are active at Har Zion Temple (HZT) with Kristy as an officer on the Executive Committee and Jeff, a former board member. They continue to be active with other organizations such as JFCS, Israel Bonds, B’nai Brith Project Hope, Cook For a Friend at HZT, JDRF - Juvenile Diabetes Research Foundation and AIPAC. They are involved with Federation as well, including Super Sunday and Women’s Philanthropy. Additionally, Jeff was a JFCS “Big Brother” for over 10 yrs. Early on in her career, Kristy was an attorney working for Legal Aid in Maryland, helping those who could not afford representation. Kristy has worked as a legal recruiter for the last 20 years. Since 2008, she has owned her own legal recruiting company, Advanced Legal Placement, LLC, placing attorneys in law firms and corporations nationwide. He actively studies Torah and Gemara. 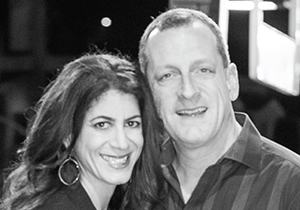 The entire family is closely connected to Chabad of the Main Line and have been since Kristy and Jeff were regular attendees at the Chabad’s JBN Lunch Series back when they were dating. This commitment to Chabad has carried into the next generation of Schulman’s with Rabbi Mendy now teaching their wonderful children: Zach 17, Josh 15, Jake 14, and Kayla 11 (all day school graduates through 5th grade). They are humbled by this great honor today.